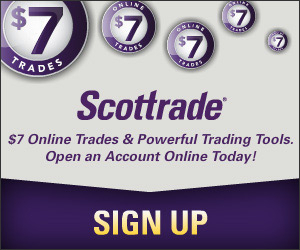 Soon, it’s going to cost you a little more to mail that 1st class letter. The USPS today announced the new prices for first-class mail. Effective on May 11, 2009, the one-ounce first-class mail postage will be 44 cents, up from the current price of 42 cents. Prices for other mailing services, such as Standard Mail, Periodicals, Package Services (including Parcel Post), and Extra Services, will also be adjusted. The USPS has already increased shipping costs early this year. While you can keep using Forever stamps that you bought early without being affected by the price change, it will cost you 2 cents if you buy a Forever stamp when the new price kicks in. It’s time to buy Forever stamps now if the USPS, as expected, keeps increasing mailing costs. Despite the increase in stamp prices, the Postal Service doesn’t seem to be in a good shape either in this economy. Actually, the USPS is considering cut mail delivery from 6 days a week to 5 due to the decline in mail volume. With so many options available, I wonder how many people still use snail mails to communicate nowadays. Update July 6, 2010: The USPS has proposed yet another first class mail postage increase on July 6, 2010. 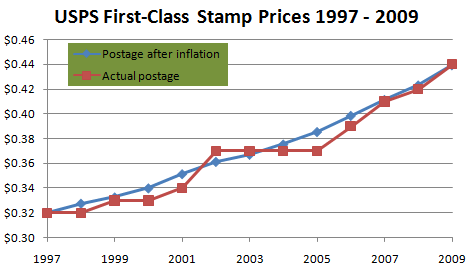 If approved, the price for First-Class stamp would increase 2 cents, going from 44 cents to 46 cents on January 2, 2011. The price of a postcard would increase 2 cents to 30 cents. Update January 4, 2011: The proposal for increasing the first class stamps by 2 cents was denied. However, the post office is allowed to raise first-class rates by an amount not exceeding the annual inflation rate without approval, which means the cost for mailing a first class letter will be going up by 1 cent from the current price of .44. The stamp cost had been expected to go up in February 2011.